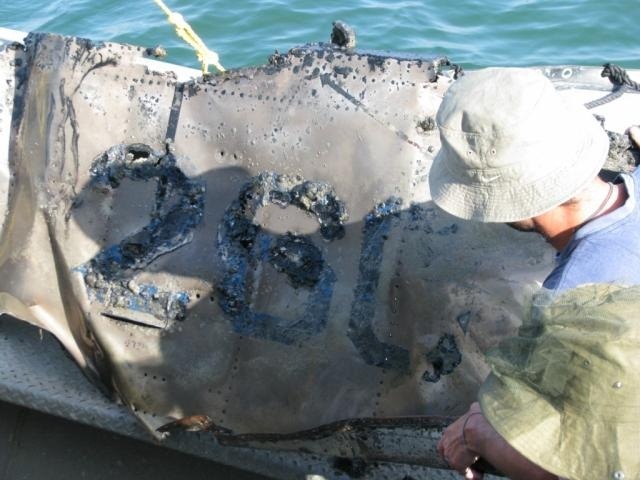 After 56 years and 12 search-and-recover operations, the remains of missing pilot Lt. Yakir-Moredchai Naveh (Leifer) Z"L have been found. 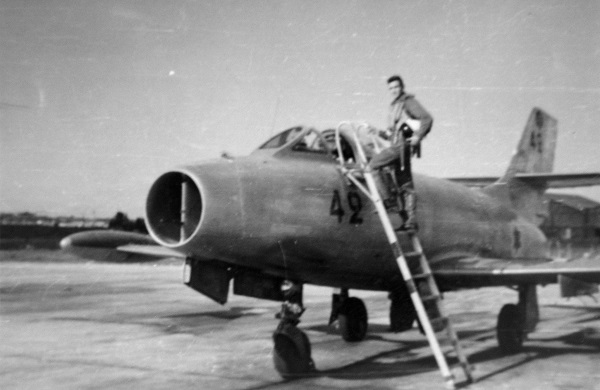 Lt. Naveh Z"L served as an instructor at the IAF Flight Academy – his aircraft crashed in the Sea of Galilee during a routine training flight in 1962. "Yakir was sent on a mission by the IAF, and the IAF has to bring him back home"
After 56 years and 12 search-and-recover operations, the remains of missing pilot Lt. Yakir-Mordechai Naveh (Leifer) Z"L have been found. 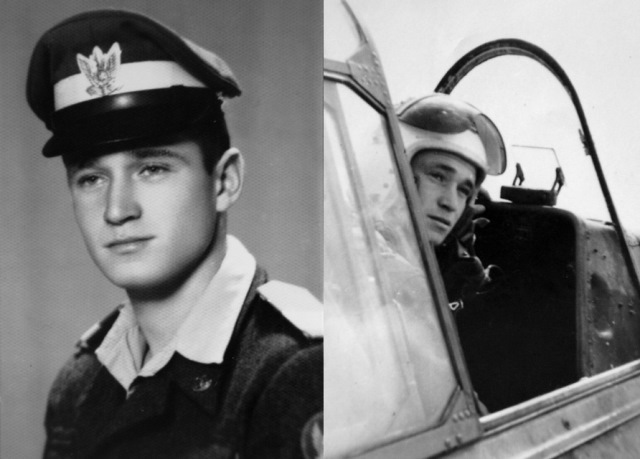 Lt. Naveh Z"L served as an instructor at the IAF Flight Academy – his aircraft crashed in the Sea of Galilee during a routine training flight in 1962. The remains were found as part of an operation which began on October 15th and meant to locate Lt. Naveh's body. The operation was headed by the IAF Accident Investigation & Missing Persons Department in cooperation with the IDF Manpower Directorate, the Missing Persons Directorate and various other units. On Thursday, October 25th, remains were found in the crash site amongst the wreckage. The findings were transferred to the Abu Kabir Forensic Institute. Today (Tuesday), the Head of the IDF Manpower Directorate reported the findings to be the remains of Lt. Yakir Naveh Z"L. Throughout the years, the IAF remained in touch with the bereaved family, which was kept up to date regarding every stage of the operation. "We began the operation after a long year of professional preparation", said Brig. Gen. Natan Israeli, Head of the IAF Personnel Directorate. "The operation saw the use of innovative technologies. Participants included officers and commanders from the IAF, Yakir's brother – a Lieutenant Colonel in reserve service and a helicopter pilot – and Flight Course cadets. I stood on the barge myself and searched. Today at noon, we revealed the findings to Yakir Naveh's family, which brought tears to the family's eyes. This ethical operation signifies the IAF's commitment to its combatants, a commitment which doesn't cease until our fallen are buried". On May 6th, 1962, Flight Academy cadet Oded Koton Z"L and flight instructor Lt. Yakir Naveh Z"L took off in a "Tzukit" (Fouga Magister) aircraft for a training flight. Oded sat in the front seat and Lt. Naveh sat behind him. The two flew in formation and at low-altitude alongside several other aircraft. The flight, which took off from Tel-Nof AFB – where the Flight Academy was then located – made its way north, and the formation was supposed to return to Tel-Nof AFB. However, the low altitude wasn't noticed as they were flying over a waveless lake, the jet's nose hit the water, bounced, hit the water again and sank. In the search operation held one year after the accident, Oded Koton Z"L's body was found and brought to rest. The body of Lt. Yakir Naveh Z"L wasn't found for over five decades. Since the search operations recommenced in 2003, dozens of parts from the "Tzukit" aircraft flown by Yakir and Oded Koton Z"L were recovered. Most of the cadet's remains were found, but Yakir remained an unsolved mystery. In the beginning, it was believed that Yakir would be found in his chair and that dragging the lake would pull him whole out of the water. Later, metal detectors were lowered into the water – these managed to find dozens of pieces from the plane which managed to shed a light on the course of the crash and map out the relevant search area. Several of Yakir's personal artifacts – his watch and pistol – were found over the years, but Yakir himself wasn't. "We sent divers to the bottom of the Sea of Galilee and operated in a dangerous, 33-meter deep environment", elaborated Lt. Col. (Res') Z'. "There's sulfur and toxic metals in the area – the area is almost volcanic. The divers would dive in complete darkness. There isn't any light or any oxygen at this depth, and so the remains are well-preserved. Afterwards, we decided we had to work in a more precise manner and sent divers to dredge the bottom of the lake. However, seeing as the crash site is four acres wide, it was like dredging the bottom using a straw". Lt. Col. G', Head of the IAF Accident Investigation & Missing Persons Department, puts a thick, red binder on his desk. The binder has the name of Lt. Naveh Z"L on the cover. "This is what a missing person file looks like", he said. "The IAF has 26 missing persons, all of them casualties whose burial place is unknown and their death determined by the Chief Military Rabbi". The search for Lt. Naveh Z"L was resumed as part of a planned program. "We realized that we had to change the way we think and developed a new dredging airlift system alongside a company chosen by the Ministry of Defense, using a designated barge constructed by the company which remains docked over the crash site", elaborated Lt. Col. (Res') Z'. "We can move the barge wherever we want according to the direction we want to advance in. A large pipe with a compressed air supply vent dredges the ocean bed, which allows us to cover the ground in a precise manner. We know where the pipe is at any given moment and make sure we dredge in a meticulous fashion, sector by sector. The whole process is documented in real-time on a screen which allows us to map out the territory". Those taking part in the operation included service members from the IAF Accident Investigation & Missing Persons Department, anthropologists and Flight Course cadets, among others. Lt. Col. (Res') Z' said: "I always wondered how it would be if we found him on my watch. I was very excited when it happened, but I tried to play it cool and not cause any drama". Lt. Yakir Naveh Z"L was born in Israel in 1939. He moved to the IAF Technological College in Haifa in 12th grade and was qualified to be an aircraft electrician. 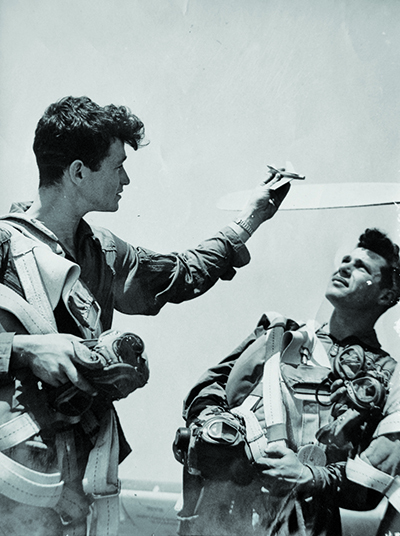 He enlisted into the IAF performing this position – a while later, he asked to participate in the tryouts for the IAF Flight Course and was accepted. He graduated from Flight Course 31, and after graduating from his Advanced Training Course he was stationed in the IAF Flight Academy as an instructor. The loss of Lt. Naveh Z"L made his family want to memorialize their beloved son. When his brother, Brig. Gen. (Res') Ronya Lapid - previously commander of the IAF Air Defense Division - had his first son, he decided to name him after his brother. Lt. Naveh Z"L's nephew followed in his footsteps and became an IAF pilot, just recently finishing his service in the air force. He said that in spite of the name and the weight on his shoulders, it wasn't the main factor in his decision to join the Flight Course. The nephew chose to perform his reserve service at the Missing Persons Unit and took an active part in several of the last search-and-recover operations. "As far as I'm concerned, the best way to come full circle is serving in this unit. I want to take part in the efforts of finding my uncle", he previously said in an interview with the IAF Magazine. "Even when we find Yakir, I'd love to serve in the unit over the coming years – I think it's an extraordinary ethical mission. 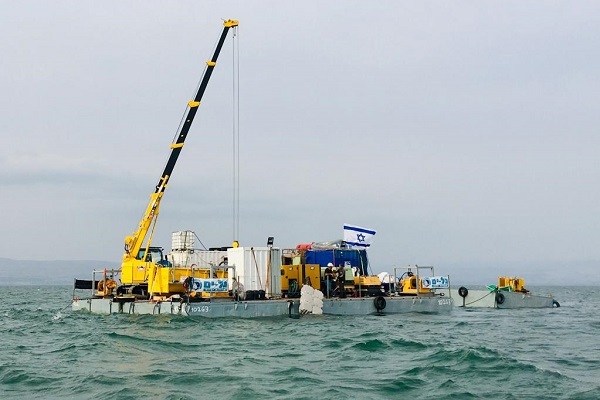 I understand the significance of searching and hope that I get to be a part of the crew that has the privilege of finding him, taking him out of the water and burying him in Israel. That is the mission".